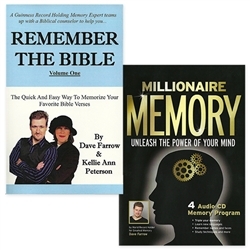 Team up with Guinness Record holding memory Expert Dave Farrow and Bible teacher Kellie Ann Peterson, to help you memorize the Bible. 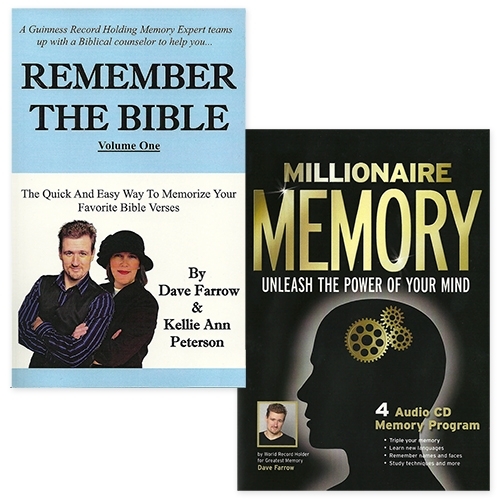 You'll examine 20 powerful Scripture passages with Farrow and Peterson's tips to help you memorize. The selected Scripture verses address the topics of the Word of God, Work, Family, Life, Anxiety, Anger and Pride.